Disney fans sure do love to show their Disney spirit! Take a walk down the halls of a Disney Cruise Ship and you will quickly see how spirited they can be. 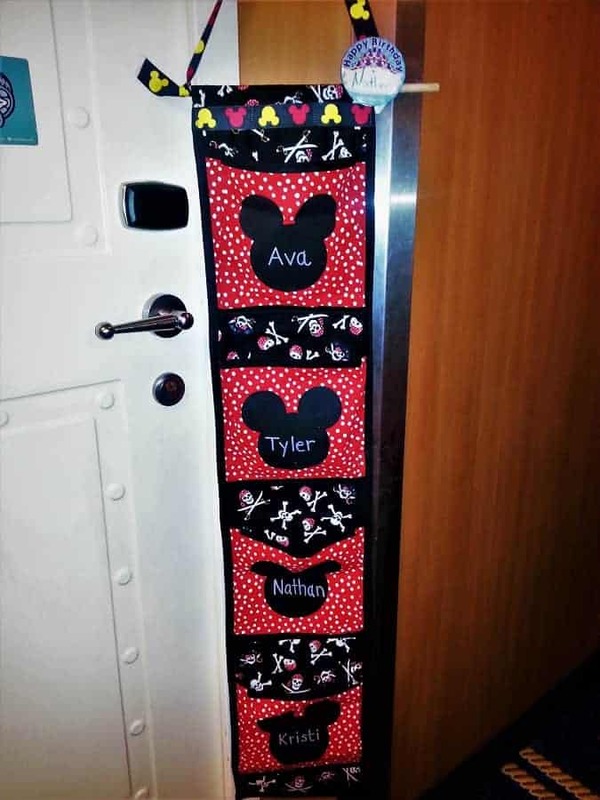 Not only will you find stateroom doors decorated with custom Disney magnets, you also might see sets of pockets hanging on the wall beside the door. This set of pockets is a Disney Cruise Fish Extender. Disney Cruise Fish Extenders are sets of pockets that are hung from a fish near stateroom doors on a Disney Cruise ship. 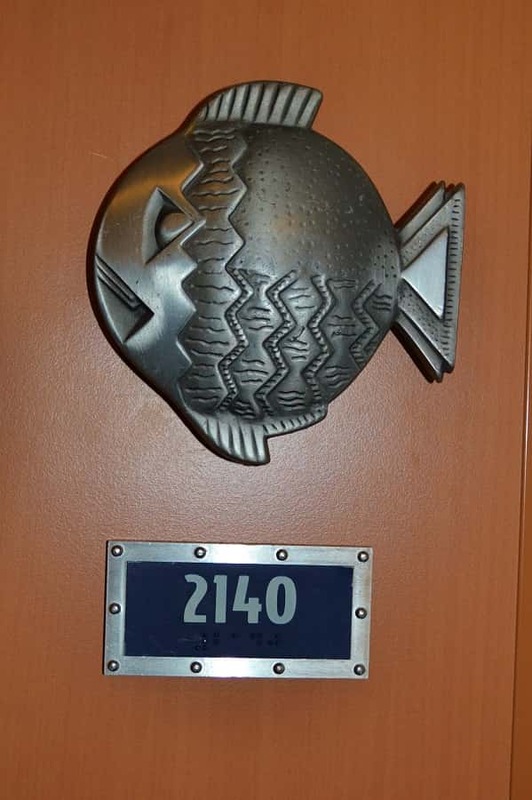 They got their name because the fish on which they hang was initially used by Disney Cruise employees as a place to leave excursion tickets, bills and other things. Over time, Disney Cruisers decided that they would also like a way to communicate with other Disney cruisers and created a set of pockets to “extend” the fish so that they too could leave things for their fellow cruisers. 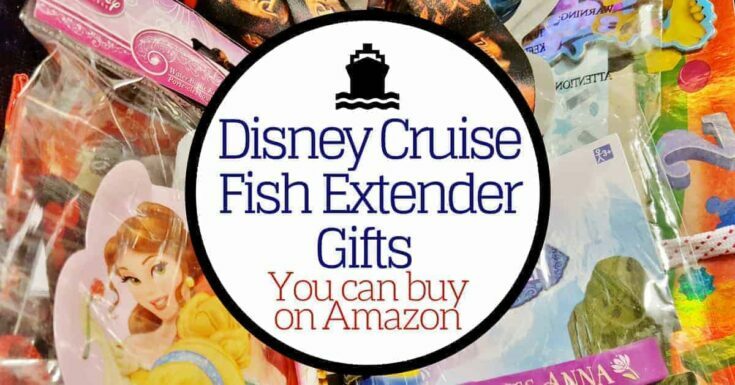 Where Do I Get a Disney Cruise Fish Extender? Fish Extenders can be elaborate or very simple. All you will need is fabric and a sewing machine capable of making a basic stitch! Here is our tutorial for making your own Disney Fish Extender. No time to make your own Disney Fish Extender? No worries. These hanging organizers work great too. Just replace the metal hangers with a ribbon or rope. How do I find a Fish Extender Group? Those who are interested in joining in on the fun of a Fish Extender Exchange simply find a group hosting an exchange either through The Dis Boards (or similar Disney Fan Site) or via Facebook. Just do a search for the cruise ship and dates you will be travelling. You should find a Disney Cruise Fish Extender group already in place. If you haven’t already registered for the site, create an account. That will allow you to be able to leave comments. You should find that someone who has experience with Fish Extender exchanges will probably have already formed a group. Sometimes it is a Facebook group and other times it is separate website. You will find that you will be asked for the names, ages, and genders of those in your stateroom. You might also be asked for your favorite Disney characters. This is not to be intrusive, but to be able to personalize your Disney Cruise Fish Extender Gifts. What to give as a Fish Extender Gift? When deciding on what to give as a fish extender gift, understand that it isn’t about the cost. You can buy something at the Dollar Tree (buy in bulk & ship to your store for free) or if you are crafty, you can make it from scratch. Want ideas on what to give as Fish Extender Gifts? We've done quite a few Disney Cruise Fish Extender gift exchanges and have plenty of ideas to share with you! These are great Fish Extender Gifts that you can purchase right off of Amazon! Need some inspiration for things to give as Fish Extender Gifts? We have 50 items to consider. Some of our favorite Disney Fish Extender gifts have been things were symbolic of one’s home state (or country), ordinary items given a touch of Disney magic or something totally unexpected (like airplane bottles & a mixer). Whatever you do, make it something fun! Joining in on a Disney Cruise Fish Extender Exchange is a lot of fun and a great way to add a little extra excitement to you vacation. I hope that we’ve helped you be better prepared and feel free to comment below if you have any questions about Disney Cruise Fish Extenders. Have you done a Disney Cruise Fish Exchange? Did you enjoy it?